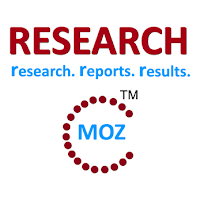 ResearchMoz.us includes new market research report " China Wood Flooring Industry Report, 2014-2018: Global Market Size, Shares, Growth, Analysis, Trends And Forecast" to its huge collection of research reports. As people’s consumptive level gets improved and they are in pursuit of high-quality life, wood flooring sees a growing proportion in the flooring industry of China, up from 33.9% in 2009 to 36.2% in 2014, being the second largest flooring product only behind ground tile. In 2014, Chinese wood flooring market, affected by the depressed real estate sector at home, witnessed a slowdown in growth rate, and the sales volume reached 390 million square meters with a year on year decline of 2.8%. In 2015, Chinese Government issued a series of favorable policies such as lowering the proportion of down payment for second house loans and the exemption of sales tax for ordinary housing (the for-sale house has to be the one he/she bought at least two years ago), which helped the gradual recovery of commercial housing market and spurred the demand for wood flooring. It is expected that, the sales volume of wood flooring will grow by 4.2%. Seen from wood flooring market segments, laminate wood flooring enjoys highest sales volume, and its sales figure in 2014 approximated 210 million square meters, accounting for 54.7% of total sales volume of wood flooring in China, but seeing a drop of 1.3 percentage points year on year; while engineering hardwood flooring and bamboo flooring are increasingly welcomed by the consumer due to merits like environmental friendliness and high price-to-performance ratio. The famous brands in Chinese wood flooring market consist of Power Dekor, Nature, Der, Shengda and Tubaobao, among which Power Dekor has realized nationwide layout, while other brands still adhere to operational mode focusing on sales in some regions and radiating towards neighboring areas, take examples for Nature Home mainly targeting Beijing market, Shengda aiming at Sichuan market, and V?hringer with advantages in cities like Xi’an and Shenyang. Dare Technology: with its flagship brand Power Dekor, the company’s sales volume amounted to 44.3 million m2 in 2014, ranking first nationwide. In 2015, Dare Technology spun off non-core assets including aluminum business, printing business, filter materials, wheel hubs, information technology, etc., in a bid to be primarily involved in timber sector (wood-based panel, wood flooring, etc.). Nature Home: it mainly produces laminate wood flooring, solid wood flooring and engineered flooring, and boasts 3,404 stores (as of 2014) in China. In April 2015, the offline life experience hall of company’s e-commerce brand Nature HOME was opened in Hangzhou city, marking the formal starting the O2O+DFC marketing mode.